Microsoft Corp is not auditing how its partner KPMG cracks down on illegal use of Microsoft software in India, the companies said in a joint statement on Tuesday. The denial comes after a prior claim made by an executive of the U.S. technology giant following a client complaint in March. Microsoft runs a global “software asset management” (SAM) programme under which it partners with global consultants such as KPMG in India. Under that programme, KPMG seeks permission from business owners to check for the use of unlicensed software. Reuters reported earlier this month that Microsoft had begun probing KPMG’s work in India after a member of India’s ruling Bharatiya Janata Party, Vinit Goenka, complained to both companies that a KPMG employee had “barged in” to his Mumbai recruitment firm without an appointment to check its software last month. Following the incident, a senior Microsoft India executive, Rajiv Sodhi, wrote to Goenka and apologised, saying Microsoft was “getting an assessment agency to carry out an audit of the process delivery at KPMG to identify and correct gaps, if any,” according to an e-mail reviewed by Reuters. Microsoft and KPMG, who had earlier declined to comment on the probe, on Tuesday denied there was such an audit, and said allegations made against the programme’s implementation were “incorrect”. “Microsoft and KPMG strongly refute any suggestion that Microsoft is auditing KPMG, or either company has engaged in any wrong doing,” the companies said in the statement sent to Reuters. A spokeswoman for Microsoft in India clarified on Tuesday that the company was only examining conduct around the recent incident and was not carrying out a broad probe into KPMG’s other anti-piracy work for Microsoft. Microsoft declined to comment on why Sodhi previously told Goenka there was an audit being carried out. It also declined to comment on whether it hired an assessment agency to do such an audit, citing employee and customer confidentiality concerns. “When a customer complains to us about a process issue they may have experienced, Microsoft and KPMG take the concern seriously and address appropriately through process review and gap assessment, if any,” the companies said in the joint statement. Sodhi did not respond to a request for comment. Told about the statement from Microsoft and KPMG, Goenka said the companies should be addressing the issues he raised. “Why would he (Sodhi) apologise if they had not done any mistake?” said Goenka, who advises government committees on IT initiatives and filed a police complaint after the incident. India is one of Microsoft’s biggest markets in Asia, but over half of all software installed on computers in the country is unlicensed, advocacy group Business Software Alliance said in 2016. Goenka said his firm, Ratein Infotech, used genuine software. 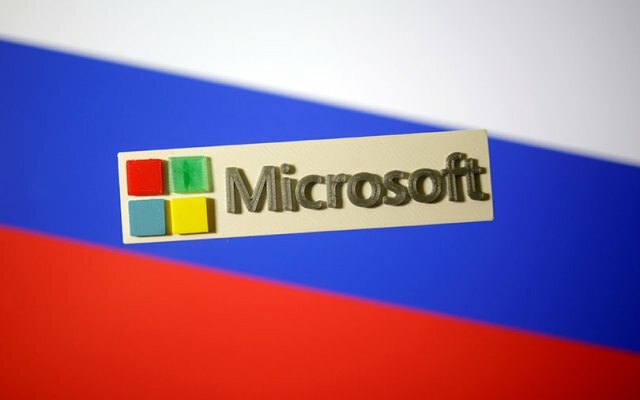 Last month, he received a letter from Microsoft saying his company needed help in “interpreting licensing policies of Microsoft”, according to emails seen by Reuters. The issue escalated when a KPMG employee, identified only as Srijesh, entered Ratein’s office on March 15. Microsoft and KPMG apologised to Goenka and Srijesh wrote an e-mail resigning, the emails showed. “The resignation of the KPMG employee was involuntary and hence KPMG has not accepted the resignation,” the companies said in their statement, without elaborating. Srijesh could not be reached for comment.